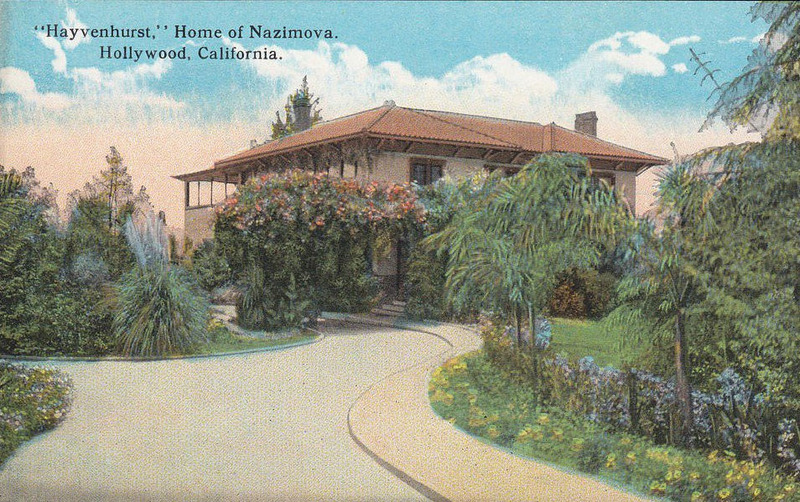 A postcard view of Alla Nazimova’s home on Sunset Blvd., circa 1918. Note that the card shows the name of the estate as Hayvenhurst. She informally referred to it as the Garden of Alla. The Garden of Allah Hotel in 1928, a year after it opened. Photograph of the model of the Garden of Allah Hotel made after the hotel’s closing. Francis X. Bushman and his wife Millicent at the Garden of Allah Hotel’s closing party.